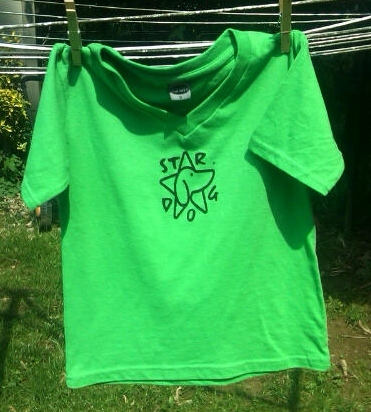 ﻿﻿Today we are beaming with pride as Star Dog provided a real service to its community. 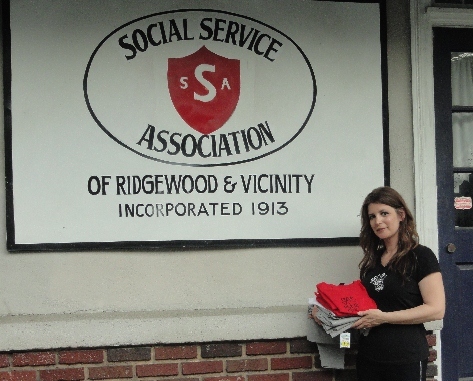 ﻿We donated 21 youth t-shirts in assorted colors and sizes to The Social Service Association of Ridgewood. We are so happy that children in the Ridgewood community will benefit from our donations. I didn't heed her advice, I went ahead and paid for a facebook promotion and quickly found the few people that were liking my page had also liked 1,500 or more other pages. I realize then that this excerpt holds true - I would rather have 50 great supporters and friends as fans than 1,000 fake. From my own personal on line experience, I would be leery if I went to a facebook page that had 2,000 likes with no interaction on the page. I find it an important marketing tool to engage with my fans - have fun, be silly, be complimentary and appreciative. The best way to see real success in social business and in life is by investing in people. By this I mean real people and real relationships! Building a community takes time and investment. You can never go wrong by investing in people. Slow and steady works, my friends. I am building, growing, and learning. 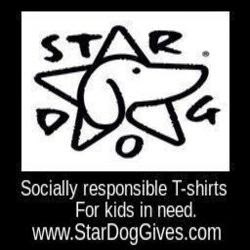 My Star Dog T-shirts for Charity company is a labor of love and my passion. I would love to hear what you think about a business page that had fake followers and any of your internet marketing tips for small business. We here at Star Dog Enterprises are completely heartbroken over the devastation that rocked Oklahoma! Sometimes there are no words to express something so unbearably tragic. Our hearts break for the countless number of people affected by this vicious force of nature, in particular the children that took shelter while at school. While we will continue to include the people whose lives have been devastated in our prayers, unfortunately, that's not enough. Many people were left with absolutely nothing - just the clothing on their backs. We want to help and we are sure you do too. For every t-shirt we sell from now til Sunday we will donate one to the kids of Oklahoma. Please share this with your friends and family - the more shirts we sell the more we can send to the OK state! Tweet it - Facebook share - Shout it from the roof tops - Let's help!! 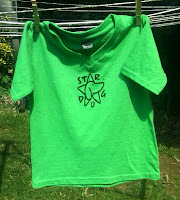 Love when I find fellow bloggers appreciating and supporting Star Dog! April is our first Free t-shirt winner. Everyone who signed up for our mailing list in the the month April were entered into the drawing. 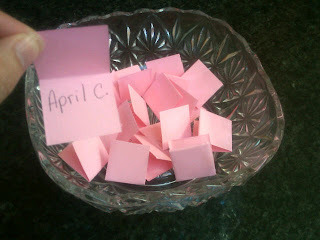 Our First t-shirt giveaway drawing was held on May 1st. Not only will April receive a free t-shirt but we will donate an identical shirt to a child in need. Wear it in good health, April! Star Dog was announced the first place winner of the Product Marketing Breathrough Insider Membership! As an Insider we have the privilege of being mentored by t-shirt entrepreneur and business coach Andreea Ayers. This is a tremendous opportunity for Star Dog moving forward. We are passionate about helping our friends at Tashirat, but realize with Andreea’s business experience and coaching we can help many more needy children. Thank you, again, to all who voted for us. We couldn't have won without your support!